The English Language and American Studies Program offers a study abroad program for students from Tokyo International University (Kawagoe, Japan). 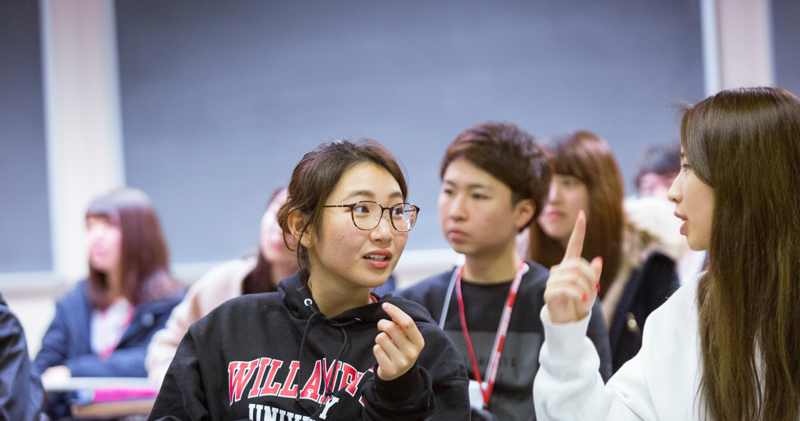 Willamette University and Tokyo International University have been sister universities since 1965 and this program, begun in 1989, was created by Willamette and TIU in order to broaden and deepen their educational exchange. Students enroll in both language and liberal arts courses, with all credit transferable to their degree programs at TIU. They gain cross-cultural awareness and enhance their abilities to study, live, and work in intercultural environments. As a result, students are better prepared for future careers in which international experience and intercultural skills are viewed as assets. Learn everything you need to know about the background of the ASP program. The ASP program offers a rigorous but collaborative community that combines classroom learning with real-world experiences. Learn more about how our students make their home on campus, in Salem and across the Northwest.